During the overnight hours of Saturday, February 7th, 2015, the all-volunteer Emmet County Animal Shelter was vandalized. Fortunately, not one of the 120+ pets were either missing or harmed, yet hundreds of dollars in damage was incurred when entry into the building was forced through the front door. Brand new screens in the cat enclosures were pushed in, also. 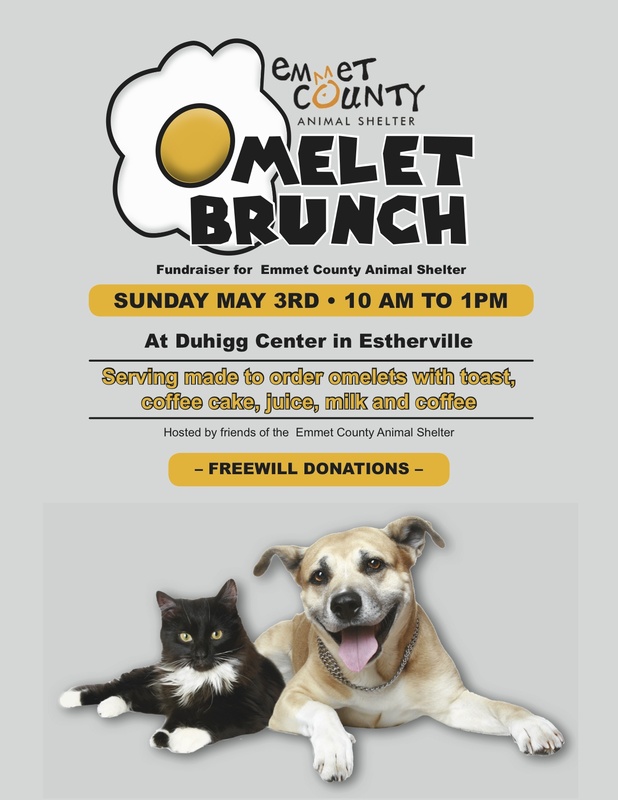 Having just opened on July 19, 2014, the Emmet County Animal Shelter is a no-kill nonprofit animal shelter relying on an all-volunteer staff to provide care to over 100 homeless at any given time as they await adoption into their forever homes. Unfortunately, the only witnesses to the crime are the furry and four-legged residents unable to shed any light on the break-in. “We’re all in a state of shock considering the nature of our shelter is to provide a nurturing and loving environment to abandoned, stray and unwanted pets in search of an adoptive family. Repairing the damage takes our time away from the animals, their care and our humane efforts in our greater community,” says shelter director and founder Kristy Henning. In addition to obtaining estimates on the repair of the animal shelter, ECAS volunteers have also been in contact with their insurance agent and are obtaining bids on a security system to protect the animals, volunteers and visitors. If you would like to help the animals sheltered at the adoption center, please visit www.emmetcountyanimalshelter.org. Anyone with information on the crime is encouraged to contact the Estherville Police Department at 712-362-3515. Donate your redeemable cans and bottles! 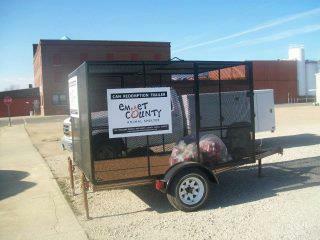 Our trailer is located directly behind ACE Hardware at J & J Trailers. Nickels do make a difference and to think that one full trailer helps fund our veterinary expenses. Donate and continue making a difference in the lives of homeless pets. All of the donations help fund our new building as well as pay our veterinary costs!